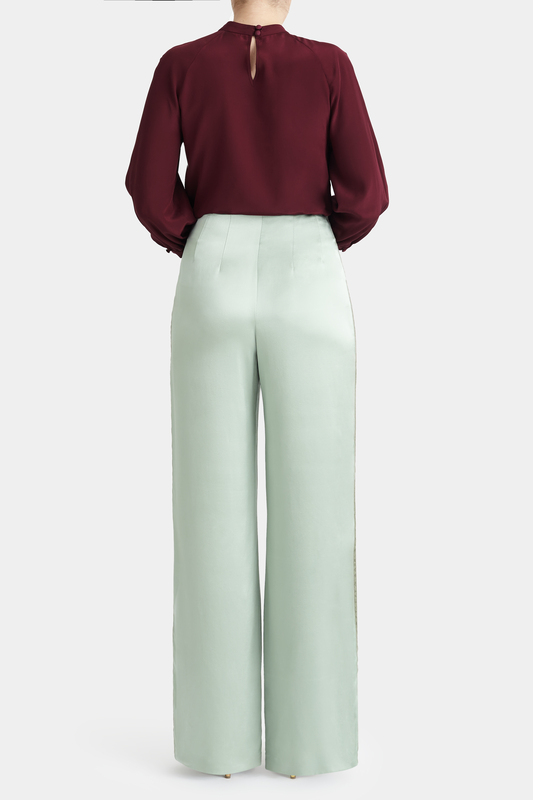 These luxurious silk satin trousers are cut with a flattering high waist and have beautiful fluid drape and movement. 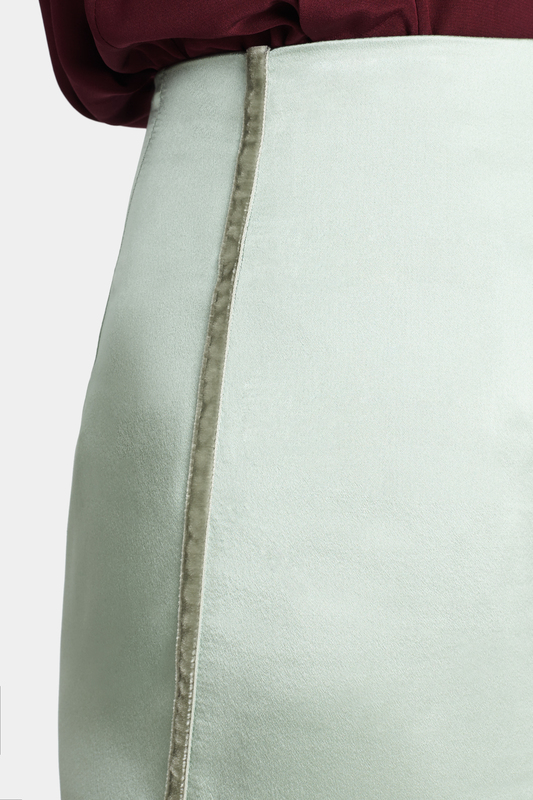 The velvet trim detail on the side of the leg is a subtle reference to the bee’s velvet body. Glamorous enough to wear for an evening function paired with a tailored jacket and silk blouse or could be dressed down with a simple t-short for a statement day look. -Silk satin -9mm velvet trim ribbon on side seam of leg -Concealed side zip. 100 % Silk.Dry Clean Only.